MATTOON -- Police officers have arrested a Mattoon man for allegedly threatening several people with a knife Sunday evening at an apartment complex. A Mattoon Police Department press release reported that Lee A. Hearns, 28, of Mattoon was arrested on a preliminary charge of aggravated assault at 8:19 p.m. in the 1800 block of South Ninth Street. The charge alleges that police were called to the scene regarding Hearns brandishing a knife and threatening multiple residents of an apartment complex there. The charge also alleges that Hearns followed a female resident of the apartment complex back to her apartment and threatened to use the knife on her. Upon police arrival, Hearns reportedly dropped the knife without incident and was arrested. Hearns was taken to the Coles County jail. Regarding other arrests, Carli S. Evrard, 40, of Mattoon was arrested on preliminary charges of obstructing identification and possession of methamphetamine at 8:28 a.m. Sept. 4 in the 900 block of Charleston Avenue East. The charges alleges that police were called to the scene due to a female in the roadway who had just previously been reported to have been panhandling for money there. Upon police arrival, the female allegedly provided a false name for herself. The police then positively identified her as Evrard and found that she was on parole. Evrard also was allegedly found to be in possession of meth. Evrard was taken to the jail. Separately, police arrested Mason R. Hunnicutt, 22, of Pana on preliminary theft and disorderly conduct charges, and Amber N. Spracklen, 28, of Pana on a possession of stolen property preliminary charge Sunday morning at the police station. The charges allege that Hunnicutt and Spracklen approached a residence on Saturday in the 2200 block of Marion Avenue. Hunnicutt allegedly entered the residence's porch, left an animal carcass there, and stole a package from the mailbox. The charges also allege that Hunnicutt gave the package to Spracklen after leaving the property, and she then opened it. Both suspects were issued a court date and were released. Jeffrey M. Moore, 36, of Mattoon was arrested on preliminary criminal trespass and aggravated battery charges in mid-September in the 3200 block of Moultrie Avenue. Moore allegedly trespassed at a residence and battered a male resident there. Chance J. Evans, 19, of Mattoon was arrested on a preliminary theft charge at 12:42 p.m. Sunday in the 1400 block of Marshall Avenue. Evans allegedly stole a bottle of alcohol on Sept. 5 from CVS. Evans was issued a court date and was released. Desiree L. Hillis, 45, of Charleston was arrested on a meth possession charge at in September in the 200 block of Richmond Avenue East after police were called to Denny’s Restaurant regarding a possibly intoxicated female there. Upon arrival, police made contact with Hillis, and allegedly found her to be in possession of meth. A Mattoon Police Department press release reported that Miranda E.J. Quast, 23, of Mattoon was arrested on a preliminary charge of obstructing justice in September. The charges allege that Quast provided false information to police during the investigation of the located meth related to another arrest. A Mattoon Police Department press release reported that Michael L. Brown, 32, of Humboldt was arrested on a preliminary charge of methamphetamine possession. The charge alleges that Brown was found to be in possession of meth during a traffic stop. Britany A. Grissom, 33, of Mattoon was arrested on a preliminary forgery charge in September at the police station. Grissom allegedly used several stolen checks to purchase goods from Casey’s General Store by forging the actual check holder's name on each check between May 30 and June 10. Thomas Cord Eich pleaded not guilty to drug-induced homicide and delivery of a controlled substance. He is accused of selling a combination of heroin and Fentanyl to Kody R. Matheny on Aug. 8. Matheny, who was 23, was found dead at his Mattoon residence the following day. Eich was first charged Aug. 10 with delivery of a controlled substance for allegedly selling heroin to Matheny and has been jailed since his arrest on the day Matheny died. Matthew J. Lawhorn, 31, of Mattoon was arrested on a preliminary charge of aggravated domestic battery to a child at 5 p.m. Aug. 29 at the police station. The charge alleges that on Tuesday at his residence, Lawhorn battered a 5-year-old child with his hands and a shoe. This caused bruising and marks about the child's body. Austin R. Lee was on probation for one burglary when he was arrested for entering the same home Aug. 16 and stealing items from the residence. He was sentenced to prison after he admitted burglarizing the same Mattoon home for the second time in two months. Lee, 20, pleaded guilty to a residential burglary charge in connection with the August incident. With the agreement reached in the case, he was sentenced to prison for four years. The conviction required a prison term of four to 15 years without probation as an option. Lee also received a record of unsuccessfully completing his probation for his earlier conviction. Cameron M. Valdez , accused of seriously injuring his 4-month-old son, will now be allowed supervised contact with the boy if a state agency agrees. The prosecution didn't object to a motion by the attorney representing to allow visits supervised by the Illinois Department of Children and Family Services. Coles County Circuit Judge Brien O'Brien granted the motion that doesn't automatically allow the visits. They can take place only if DCFS representatives determine the child's safety is guaranteed, the judge ruled. Valdez, 25, is accused of shaking or otherwise injuring the boy on June 4. Dayton L.H. Ellison, 22, of Mattoon was arrested on a preliminary charge of battery at 10:27 p.m. Sept. 2 in the 1500 block of South Second Street. The charge alleges that while arguing with a male and female, Ellison pushed the female in an attempt to go after the male. Ellison was arrested and posted bond before he was released. A Mattoon Police Department press release reported that Donald D. Cundiff, 37, of Mattoon was arrested on a preliminary charge of being a fugitive from justice in Indiana at 2:45 p.m. Aug. 31 in the 600 block of Shelby Avenue during a stop for traffic violations. During the stop, police discovered that Cundiff was wanted on an Indiana arrest warrant for sexual misconduct with a minor. Cundiff will be held at the Coles County jail on the fugitive charge pending extradition to Indiana. Jason D. Conley, 42, of Mattoon was arrested on a preliminary charge of solicitation of a sexual act at 6:37 p.m. Aug. 31 in the 2000 block of Western Avenue. The charge alleges that Conley sent a cellphone text message to a 17-year-old female on Aug. 29 indicating that he would pay her money for sexual acts in return. Conley was taken to the jail. Police officers arrested a Mattoon man for allegedly threatening several people with a knife Sunday evening at an apartment complex. A Mattoon Police Department press release reported that Lee A. Hearns, 28, of Mattoon was arrested on a preliminary charge of aggravated assault at 8:19 p.m. Sept. 9 in the 1800 block of South Ninth Street. The charge alleges that police were called to the scene regarding Hearns brandishing a knife and threatening multiple residents of an apartment complex there. The charge also alleges that Hearns followed a female resident of the apartment complex back to her apartment and threatened to use the knife on her. Upon police arrival, Hearns reportedly dropped the knife without incident and was arrested. Hearns was taken to the Coles County jail. Carli S. Evrard, 40, of Mattoon was arrested on preliminary charges of obstructing identification and possession of methamphetamine at 8:28 a.m. Sept. 4 in the 900 block of Charleston Avenue East. The charges allege that police were called to the scene due to a female in the roadway who had just previously been reported to have been panhandling for money there. Upon police arrival, the female allegedly provided a false name for herself. The police then positively identified her as Evrard and found that she was on parole. Evrard also was allegedly found to be in possession of meth. Evrard was taken to the jail. Mattoon police arrested Mason R. Hunnicutt, 22, of Pana on preliminary theft and disorderly conduct charges, and Amber N. Spracklen, 28, of Pana on a possession of stolen property preliminary charge Sept. 9 at the police station. The charges allege that Hunnicutt and Spracklen approached a residence on Saturday in the 2200 block of Marion Avenue. Hunnicutt allegedly entered the residence's porch, left an animal carcass there, and stole a package from the mailbox. The charges also allege that Hunnicutt gave the package to Spracklen after leaving the property, and she then opened it. Both suspects were issued a court date and were released. David W. Simpson Jr., 28, of Decatur was arrested at 3:22 a.m. Aug. 19 during a warrants check in the 1300 block of Wabash Avenue on preliminary methamphetamine possession charges. Michael A Castaneda, 20, of Mattoon was arrested on a preliminary residential burglary charge at 11:50 a.m. Aug. 17 at the Coles County jail. The preliminary charge alleges that Castaneda unlawfully entered a residence in the 700 block of East Rudy sometime between June 30 and July 2 and stole items from there. 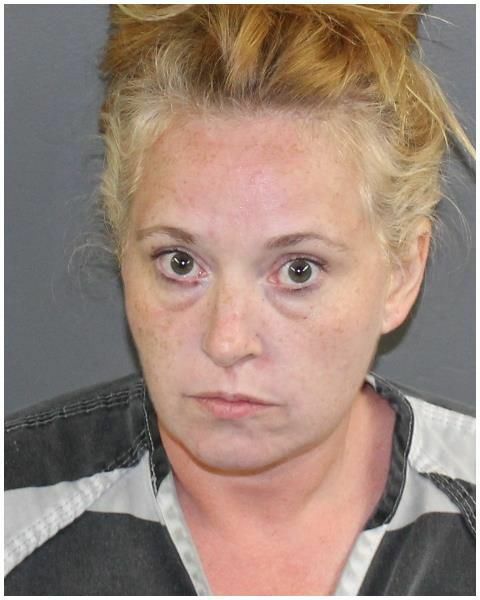 Krystyna R. Anderson, 30, of Mattoon was arrested on a preliminary residential burglary charge at 10:13 a.m. Aug. 19 in the 2400 block of Shelby Avenue. The charge alleges that Anderson unlawfully entered a residence in the 1300 block of Champaign Avenue on Aug. 13 and stole items from there. Matthew L. England, 19, of Mattoon was arrested on an aggravated domestic battery preliminary charge at 4:45 p.m. Aug. 17 at the police station. The charge alleges that England threw a woman down and choked her during an Aug. 8 domestic dispute in the 800 block of North 12th Street. Becky Y. Daniels, 45, of Gays was arrested at 9:50 p.m. Aug. 18 on preliminary methamphetamine possession charges during a traffic stop in the 2100 block of Champaign Avenue in Mattoon. Christopher L. Evans, 36, Mattoon was arrested on a preliminary charge of home repair fraud at 11:15 a.m. Aug. 17 at the police station. The charge alleges that Evans received money from an elderly female to do home repair work to her residence on April 6 and that he never returned to do the work after spending the money. Andrew L. Hussong, 37, of Mattoon was arrested just after 8:30 p.m. Aug. 13 after police forced their way into the residence in the 1000 block of South 17th Street. He was arrested after a two-hour standoff at a Mattoon residence that necessitated the precautionary evacuation of a restaurant and homes nearby. Charleston police say Dustin R. Drum, 28, of Neoga was arrested for allegedly stealing more than $2,000 worth of electronics from the Charleston Walmart and Verizon Wireless store Aug. 10 and 11. Police said Drum was seen on video surveillance entering Walmart on Aug. 10 and removing two display laptops and a display iPad. Aug. 11, he was observed on video at the Verizon store at 15 West Lincoln Ave. removing an iPhone 8 from the display counter before leaving the store, Charleston police report. Drum, who was arrested in Effingham on Aug. 13 for retail theft, was placed under arrest and extradited back to Coles County, where he was placed in the Coles County jail based on preliminary charges of multiple counts of burglary. Justin M. Drennan, 28, of Mattoon was arrested at 3:05 p.m. Aug. 7 at the police station on a preliminary charge of felony theft. The charge alleges that Drennan stole just under $10,000 from his employer over a period of months. Jordan A. Smith, 23, of Mattoon was arrested at 11:15 a.m. Aug. 6 in the 3100 block of Marshall Avenue on a preliminary charge of possession of methamphetamine, according to Mattoon police. Mark K. Simmons, Jr., 35, homeless, was arrested at 3:33 p.m. Aug. 7 in the 700 block of North Second and Division streets in Mattoon on preliminary charges of possession of methemphetamine and possession of a controlled substance, according to Mattoon police. According to the charges, Simmons was found to be in possession of meth and also some illicit prescription medication when he was arrested for an outstanding warrant of arrest from Tazewell County for a violation of his probation. Susan E. Sayers, 55, of Mattoon, was arrested just after 10:30 p.m. Aug. 4 in the 2200 block of Prairie Avenue for reportedly battering a man, police reported. Zachary J. Dare, 45, of Mattoon was arrested for reportedly being in the apartment of a woman who's the alleged victim in a pending case, which was a bond violation. A Mattoon Police Department release said Dare was arrested about 1:50 a.m. Aug. 5 in the 400 block of North 15th Street for the alleged bond violation and for aggravated battery. Henry D. Wilson, 31, of Mattoon was arrested Aug. 4 on a preliminary charge of possession of methamphetamine. Police said Wilson had the drug when he was arrested at 4:30 p.m. Aug. 4 in the 2700 block of Richmond Avenue. Britney L. Pauley, 31, was arrested Aug. 3 on suspicion of burglary, forgery and possession of another's debit card, according to a news release from the Mattoon Police Department. The release said Pauley is believed to have broken into a car to steal the card and then used it at various stores in Mattoon. William S. McCoy, 44, of Charleston was arrested Aug. 4 on a preliminary charge of possession of drug paraphernalia. Mattoon police said McCoy was found with a used hypodermic needle when he was located in the 1700 block of Broadway Avenue just after 2:30 p.m.
Henry O. Mitchell, 59, of Mattoon was arrested by Mattoon police for reportedly violating an order of protection. 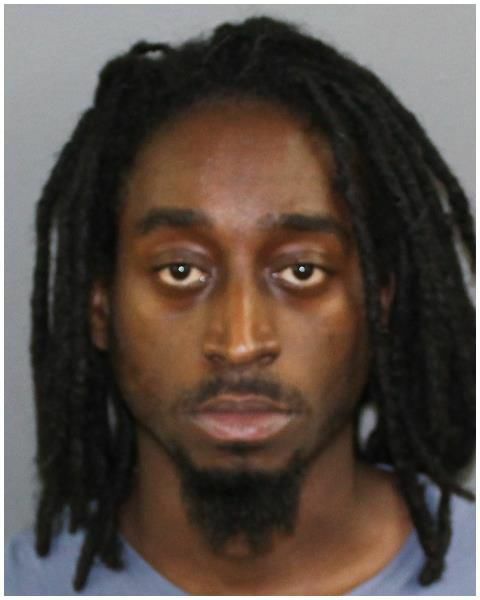 Mitchell was arrested just after 4 p.m. Aug. 4 in the 900 block of Marshall Avenue, according to a police press release. It said he drove several times by the house of a woman who had an order of protection against him. MATTOON -- Police officers arrested a Mattoon man Friday afternoon on a preliminary charge of being a fugitive from justice in Indiana.